February comes to an end and that means spring is but a mere 3 weeks away! That brings with it a new anime season with new shows to check out and old anime to wrap up and see how things end. What you should also look forward to are new anime soundtracks that are due once a series finishes. While there isn’t a whole lot of that here, they’ll come sooner rather than later and when they do, it’ll be fantastic indeed since this current season has quite a few that are worth checking out. Yurikuma Arashi fans should be pleased to know that the opening theme to the anime, “Ano Mori de Matteru” will finally be released at long last. The song has that soft, seductive feel to it that meshes really nicely with the anime’s subject matter. Furthermore the manner in which the lyrics are delivered, that is to say, a sort of rap mixed in with the cooing eroticism, is really pleasing to the ear and should delight many a fan. 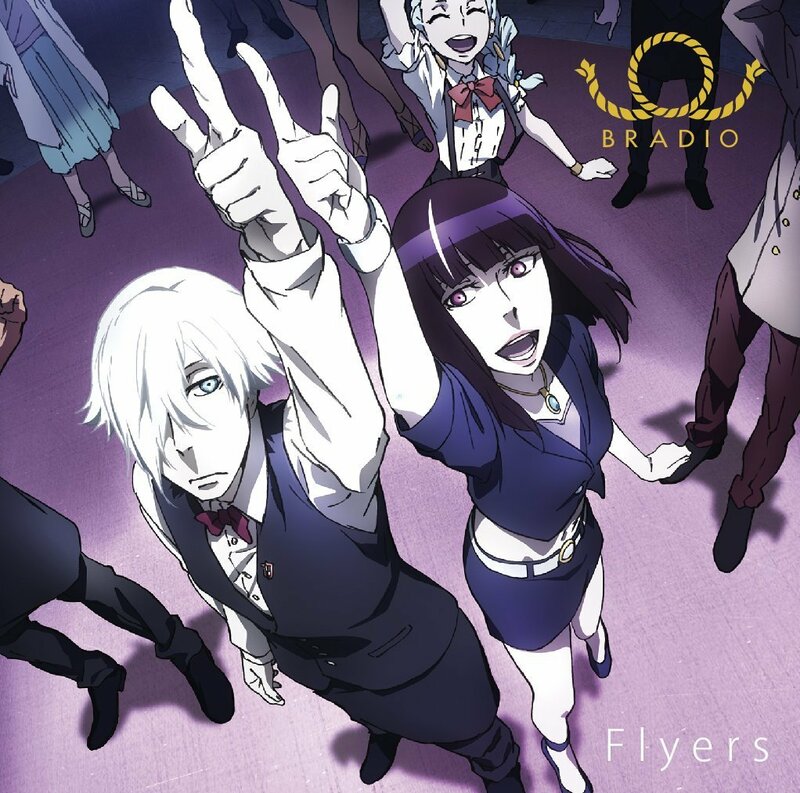 Out of all the opening themes from shows airing this winter, nothing quite compares to BRADIO’s opening for Death Parade: “Flyers”. Its atmosphere is just really fun as the music makes you want to get up and dance. Although the macabre nature of the anime is at odds with the partying love fest that the OP theme packs in spades, it’s still a song that easily stands out as being, if not the best, the most entertaining one on offer. In terms of songs sung by an anime’s seiyuu, I suppose you could do a lot worse than Rina Satoh’s and Asuka Ogame’s delivery in “Egao ni Naru” for Koufuku Graffiti. 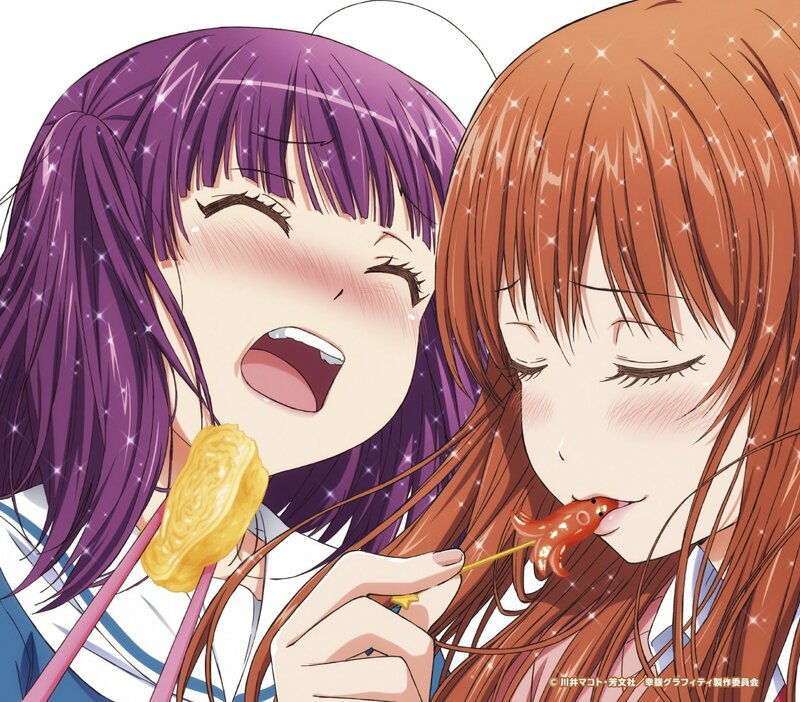 Given the show’s content, it’s not a surprise that the central focus of the ED theme is on the joys of cooking and you’ll be able to hear both seiyuu gush over how much fun it is to cook and consume their creations. The song itself is pretty saccharine sweet, but I suppose you wouldn’t have it any other way. Now here’s something pleasant and uplifting. 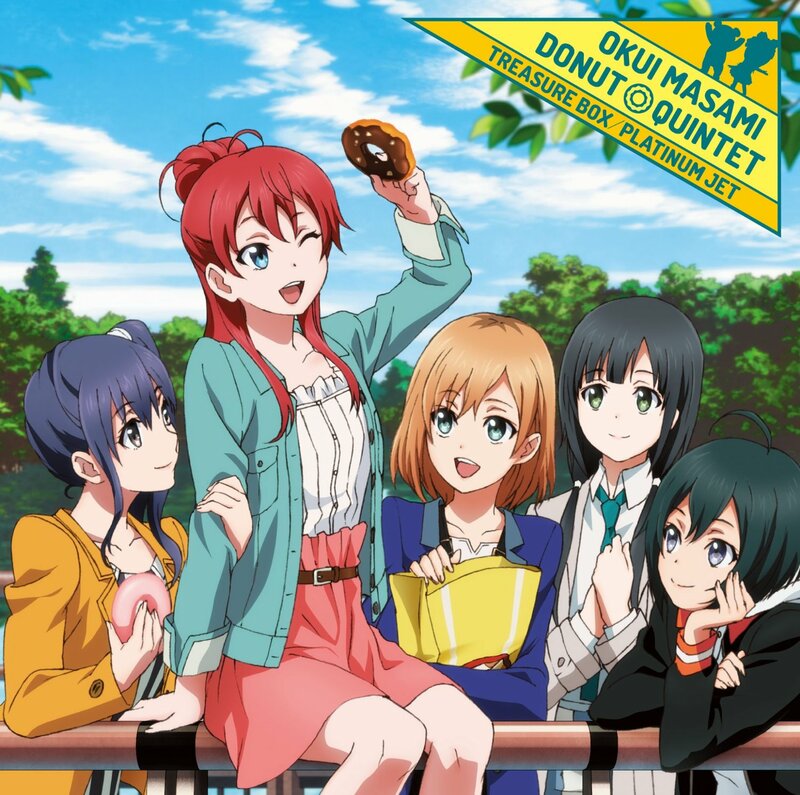 In a show that started about dreams and is now showing some of the more surprising aspects of the anime industry, Shirobako is a breath of fresh air that has an OP/ED single that is light and fun. The opening theme, “Treasure box”, is pleasant with Masami Okui’s voice leading the way with her warm vocals and makes for an endearing song. The ED, “Platinum Jet”, features Shirobako‘s main cast singing an energetic theme that is as fun as the anime itself and together, makes the album worth checking out. Check us out and talk to us! © 2008–2019 Anime Instrumentality Blog. Powered by WordPress.